The early 90’s were seminal for dance and electronic music across Europe and inspired a generation of would-be DJ’s, musicians and ravers. The disused warehouses and open fields were a hot bed of communal dance experiences, fuelled by a hungry, dynamic and radical youth culture. In a time before iPhones, trending and whatsapp, young people mobilized in their thousands, spontaneously congregating to dance and make memories. 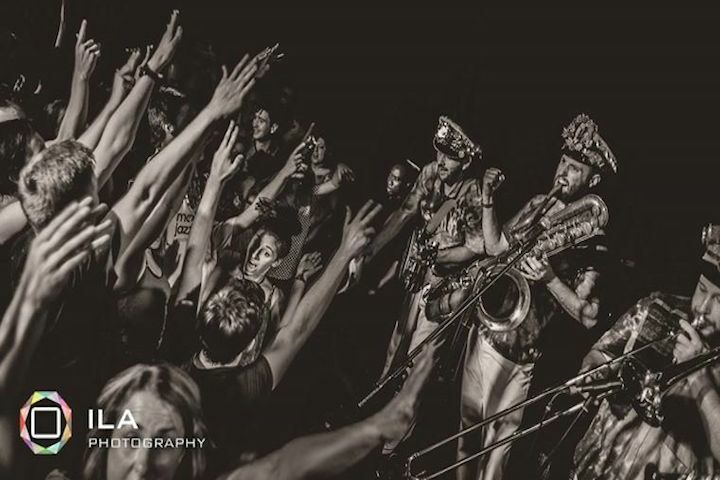 Collaborating with vocalists and innovative lighting designers, Mr. Wilson’s Second Liners invite audiences on a brassy, nostalgic trip to revisit the rush of old school raving and to pay homage to those diehard days of dance. Return to the Labyrinthe is an adrenalin- fuelled dusk expedition, audaciously disruptive and exhilaratingly secretive. Like the authority- evading ravers of the 90s, ticket holders will be instructed to call a phone number to confirm the party location before the show. Interacting with social media, they must then navigate to their way through the urban landscape to an unlikely, secret site for an exclusive party experience. With live music, visceral dance and atmospheric lighting, Return to the Labyrinthe is a rose- tinted flashback to a lost euphoric era, empowering audiences to make new connections to dance anthems and to share them with the next generation. 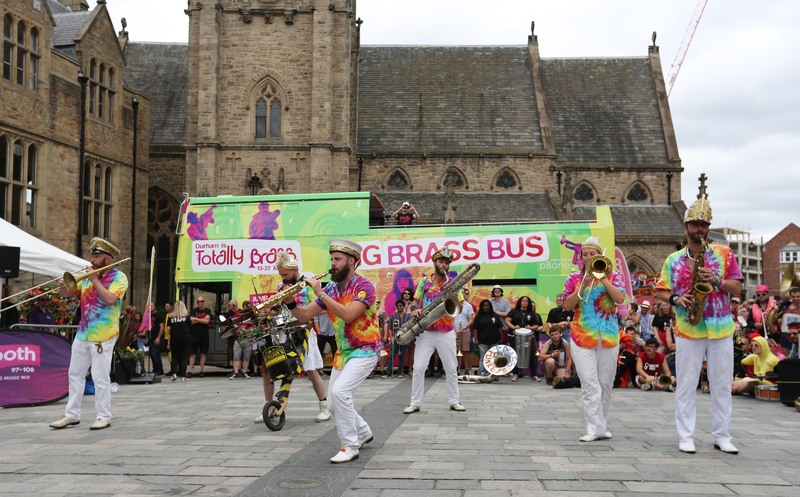 Return to the Labyrinth is commissioned by Durham Brass and supported by Arts Council England.